Tucked away in one of the by-lanes of the highly fashionable Shahpur Jat is a little piece of Washington DC! Christened after its namesake, a street in DC, Old Town Café is an American-style cupcakery which boasts of being the very first cupcakery in town. The seating area is modest, with just about four or five tables, but this just adds to the charm of the place and makes it appear warm and cozy. The inside of the café is tastefully done up in soft colours, which only reminded us of the icing on cupcakes. The posters on the walls (read “I never met a cupcake I didn’t like” or “It’s cupcake o’clock”) are fun and charming. Old Town Café, quietly and elegantly makes its statement. Old Town Café has a varied menu - from pot pies and quiches and burritos for the more ravenous among us; you&apos;re likely to be spoilt for choice here. 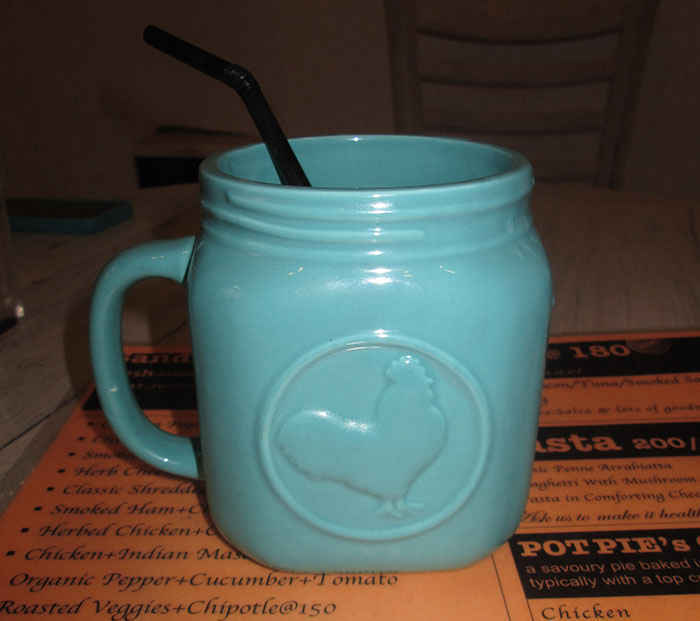 hot chocolate or coolers, pastas or sandwiches, coffees or teas - there’s something for everybody here. Not to mention an eye-popping selection of cupcakes which are a must try. Their waffles are also an extremely popular choice on the menu. Our beverages arrived first - a Blueberry Smoothie, an Oreo Shake and a Peach Iced Tea. With a strong taste of yoghurt, the Blueberry Smoothie was light on the stomach and did not leave us feeling full, which was good considering we&apos;d just gotten started! The Oreo Shake is a must try for every chocolate lover. The absence of ice cream or cream in the shake ensures that it wasn&apos;t too heavy. The Peach Iced Tea came in a tall glass and was cool and refreshing. Next, to win our hearts over, came the Chicken, Ham and Bacon Chipotle Sandwich. 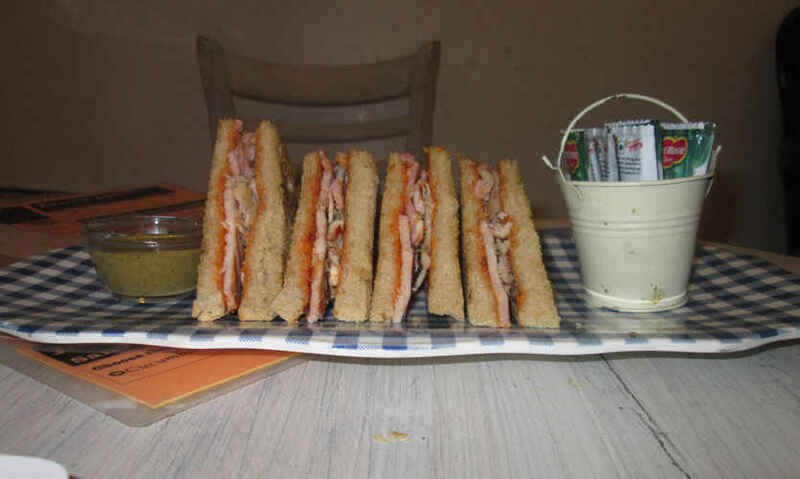 Served with a tangy sauce that had a hint of mint in it, the sandwiches were made of brown bread. The pieces were not too large and the bread was not dry. All in all, it was the reigning queen of our meal! 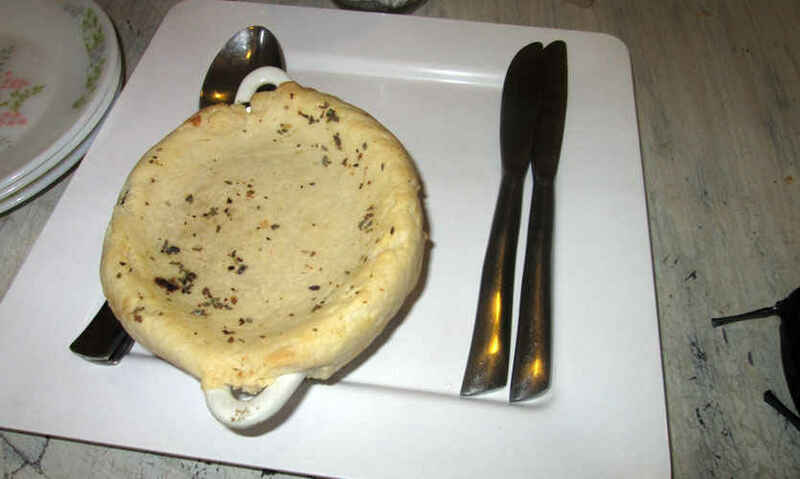 The Sausage and Jalapeno Pot Pie came next with a soft, easy-to-break crust. It was warm and comforting with a dash of pepper in it that stood out and added a nice zing to the filling. This is what you order when you&apos;re just ravenous for some yummy snacks! 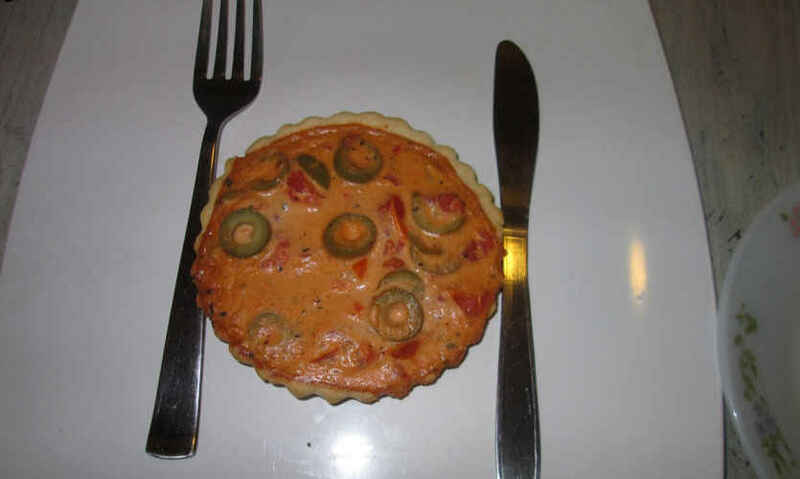 Their Plum Tomato and Olive Quiche was served with a perfect golden brown crust that we simply drooled over! It was light on our tummies, and the ingredients were obviously fresh. The tomatoes added a yummy tanginess to the dish and we stuffed ourselves silly on this one! 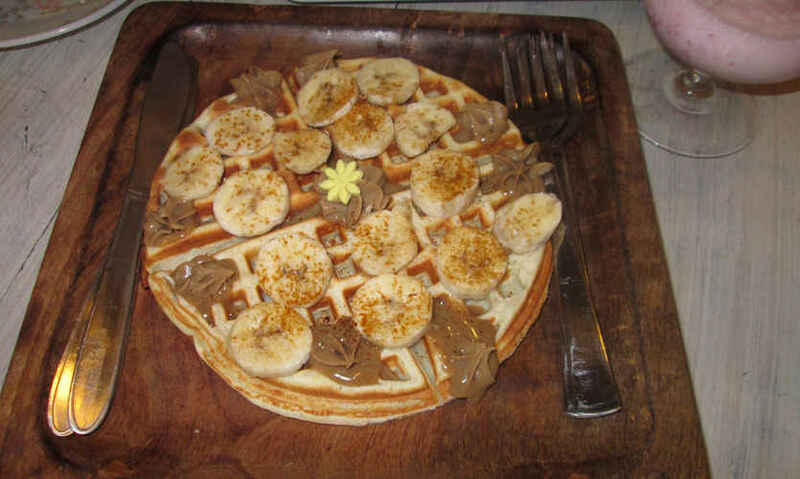 It was the Coffee and Banana Waffle, however, that stole our hearts for the second time around! The coffee icing is a real treat for any caffeine lover. Though we were a little apprehensive about the combination of the distinct flavours of coffee and banana, it proved to be a hit. The waffle was fresh and not one bit soggy! The Birthday Chocolate Cupcake closed our meal with a flourish! It was the cutest sight as it came with a little green bow of icing over it and was covered with a cloche. 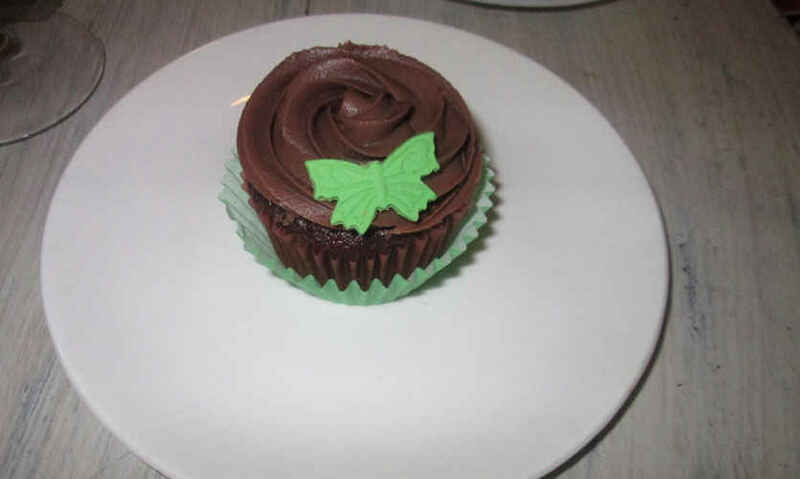 The light chocolate cake was topped with the most heavenly butter cream icing. Yum yum! Garima, the proud owner of Old Town Café, assures us that all of their dishes are made using their very own preserve and is fresh and made to order. This definitely shows! A great deal of thought and attention is put into each of the dishes which are specialized and hand crafted. Garima also made us aware that there isn’t an overdose of cream or cheese in too many dishes, in order to cater to the more health-conscious crowds that generally throng the Shahpur Jat area. They also would happily have something on offer for you, should you have any particular dietary requirements; be it gluten free, vegan, sugar free or eggless. Garima also caters for birthday parties and other events. Everything about the place fits the description of ‘cute’ - from the mason jars stuffed with tissues to the low, round tables reminiscent of kitty parties. Old Town Café operates on the principle that all of their customers must leave a little bit happier. We were definitely a lot happier at the end of our meal!